The Hammer Series has announced the appointment of 'Hammer Captains', one rider per team that will be in charge of fighting for "victory on the roads and on social media." Each of the teams set to start at this year's Hammer Series have appointed a rider that will be the Hammer Captain. The riders will take the role of leaders during the Hammer Climbs, Sprints and Chases and as a team ambassador off the saddle. 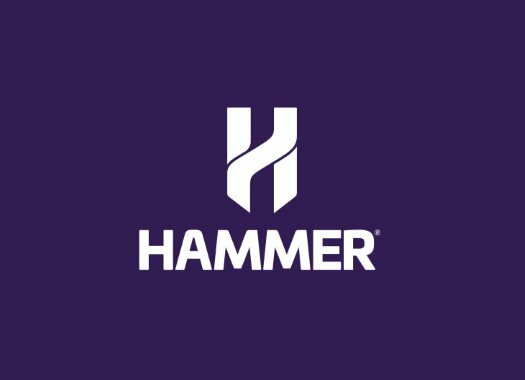 "Hammer Captains will bang the team drum and generate support among fans by providing exclusive content on social media and will lead their team’s cheering even if they’re not participating in a Hammer race by providing insight into their colleagues’ performance," said the race organisation on a press release. The Hammer Series announced the first five Captains for 2019: Alexander Kristoff (UAE Team Emirates), Brenton Jones (Delko Marseille Provence), Cameron Meyer (Mitchelton-Scott), Tim Wellens (Lotto-Soudal) and Tom Dumoulin (Team Sunweb). Kristoff: "I can't wait to start playing my role as Hammer Captain in my hometown of Stavanger. I'm so lucky that the Hammer Series takes place in my lovely city and I feel that no other teams will be as motivated as UAE Team Emirates”. Jones: "The Hammer Series is an exciting event because it showcases some of the best riders in a unique style of racing. We will be looking to animate the racing and try to show our colours at the front of the race. I'm excited!" Meyer: "We always went to Hammer races with a really motivated group and we really wanted to perform well –that’s what you have to be at the Hammer Series because you don’t have time to settle in. Last year, we got a really good taste for that winning success and we found some good tactics for how we can win the event. This year, we won’t be resting on our laurels of last year, we are super motivated, we have a good squad and we think we can defend our title." Wellens: "I am looking forward to being our Hammer Captain this year! I really love this concept of fast and explosive racing. So far, we haven’t succeeded in winning the Hammer Series but now, we have Caleb Ewan and Roger Kluge on our team. They were both part the winning team last year and they will add significant firepower to our roster. We will fight hard for victory in the Hammer Series this year!" Dumoulin: "We are all really excited about this year's Hammer Series. The racing is so intense and the format is super exciting for us riders and for the fans watching at home. Last year, we were pretty close and this year we are even more motivated to knock Mitchelton-Scott off the top spot and show them who has the best team!" The first event of the 2019 Hammer Series will be in Stavanger, Norway, between the 24th and the 26th of May. This event will be followed by the one in Limburg from the 7th to the 9th of June, and the one of Hong Kong closes between the 12th and the 13th of October.